a. To power on device, press the Power Button for 3 seconds. Video recording automatically activated after device switched on. b. To power off device, press the Power Button for 3 seconds. Last video have been saved before device switched off. Display can be switched off and on by pressing the Menu button for 3 seconds. To enter menu and setting, shortly press the menu button under standby mode. Press the page up/down buttons for selecting; Press the camera button to confirm. Shortly press the menu button to exit. [Caution] It is the same to enter Menu Setting under Video Mode, Photo Taking Mode and Play back mode. To enter photographic mode, shortly press the camera button under standby. Press the same button to take photos. To enter playback mode, press the camera button for 3 seconds. Press the page up/down to select images and videos, press camera button again to play the selected video. To exit playback mode, press the camera button for 3 seconds. Under playback mode, press the camera button to play/pause a video. If car collided during recording, shortly press the emergence button to protect valuable video evidence. Previous footage will be saved and extended for extra 3 minutes recording. To unlock video by shortly press the emergence button again. *This video will not be overwriting during loop recording. To switch on movement detection, press the emergence button under standby for 3 second. Press it again for 3 second for turning off the movement detection. Emergence button functioned as confirm/ok button under menu interface. To start video recording, shortly press REC button under standby mode. Press it again to stop the video recording. REC button functioned as page-up button under the menu and the playback interface. To non invert the display, press the REC button under power on status for 3 seconds. For not to recording audio into videos, shortly press MIC button. To record audio in video by press MIC button Again. MIC Button functioned as page-down button under the menu and the playback interface. To invert the display, press MIC button under power on status for 3 seconds. In the times that you may be experiencing trouble with your device, please restart device by shortly press reset button. ⅰ. Shut down car engine. ⅱ. Insert the TF card into the slot of the device. [Caution] Suggesting using class 6 or above TF card for the car DVR and memory no less than 512MB. The device support maximum 32GB TF card..
ⅲ. Stick the DVR mounting frame on front window. [Caution] Please cleanse window before sticking mounting frame. Dirt and trace of water have result in less time of usage. To adjust mounting frame position, please use attached cotton thread, place at the edge between sticker and window, pulling from left to right and right to left until the sticker has been removed. ⅳ. Plug in car charger into the car cigarette lighter. ⅴ. Connect car charger to the Car DVR USB input with charging Cable. [Caution] USB cable can be laid around front window. ⅵ. Place external camera at the back of the car, mind the direction of the view of the camera. Cable can be laid across the seats to the Car DVR at the front, connect external camera by plug the camera AV cable into Car DVR AV-IN port. ⅶ. Adjust camera position, ensure the line of sight is perpendicular to the ground. ⅷ. Starting engine, check if DVR has been installed correctly. [Caution] If DVR has been installed correctly, device will be entering video recording mode automatically when engine starts. Please check with the screen display, if it is up side down, invert/non invert the display with REC/MIC button. Start video recording automatically when engine turns on, video recording indicator and audio recording indicator start flashes. After engine been shut down, video recording stops automatically after 12 seconds, saving latest video and then power off. Recorded videos have been saved in TF card and loop recording earliest video while memory is full. [Caution] a. Video length can be set in menu, 1/2/5minutes adjustable，default setting is 1 minute. b. Video resolution can be set in menu, HD720P and VGA, default setting is HD720P. c．DVR Camera and External Camera video footage stored in TF card file: “DCIMA” and “DCIMB”. To start up DVR, press power button for 3 seconds, video recording function activated automatically, video recording indicator and audio recording indicator flashes. To shut down DVR, press power button for 3 seconds, last video have been saved automatically before power off. To enter photographic mode, shortly press camera button. Icon of video that is shown on upper left corner of display has changed into icon of Camera. Shortly press camera button for taking photos. To switch back to video recording mode by shortly press REC button. To enter movement detection, press emergence button under standby for 3 second. Under movement detection mode, DVR recording automatically while sensing moving objects. DVR enter into standby mode while none moving object have been sensed. To exit movement detection, press emergence button for 3 seconds. [Caution] Please purchase external battery for long-term movement detection. [Tips] Default setting of Movement Detection is off. Setting of Movement Detection resets to default setting while DVR powered off. Camera of this DVR can be rotated for 300 degree angle, screen displays upside down while camera has been rotated for 180 degree angle. To display correctly, press MIC button/REC button for 3 seconds for invert display and non invert display. [Caution] Setting of display has been saved automatically after power off. 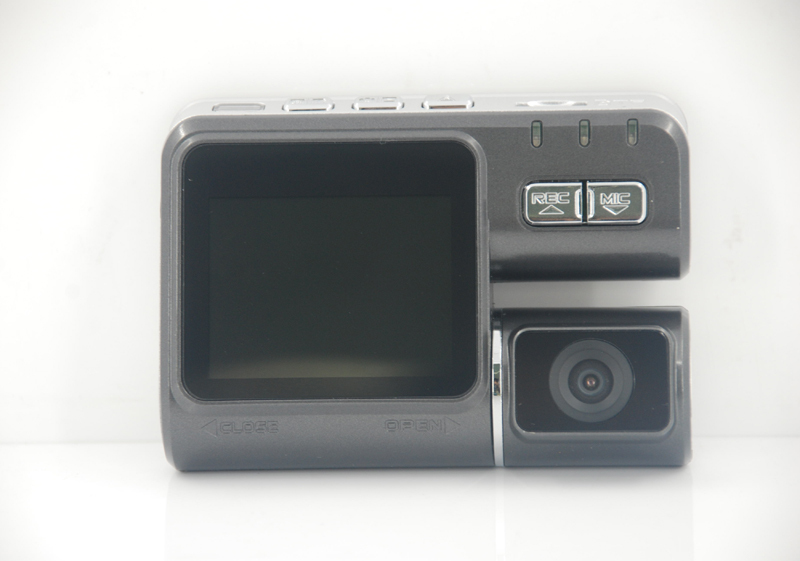 G-Sensor, if car collided during recording, DVR displays a sign of a lock, which 10 seconds before collided and next 20 seconds will be saved automatically as a special video. This video will not be covered during loop-recording. 2. Sensitivity of G-Sensor is adjustable; default setting is “middle”. Video locking is to prevent important evidence video has been overwritten by loop recording. To lock a video, press emergence button while recording, current video will be saved pre 10 seconds and next 20 seconds recording. To set date and time, shortly press twice on menu button under standby mode. Selecting the date in setting menu with page up/down button, shortly press emergence button to confirm and enter into date and time setting. [Caution] For the correct time/date in evidence video, please adjust the time and date correctly. To stop the audio/recording without sound, shortly press MIC button under video recording. While the microphone sign at the bottom of display shows color of white, means MIC have been switched off. Press MIC button again and the microphone turned blue, means MIC have been switched on. [Tips] MIC setting will be automatically saved, do not need to edit again after restart the device. 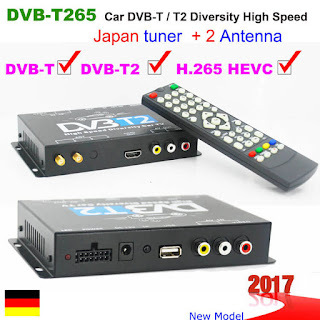 Connect DVR and PC with USB cable, display of DVR shows 3 options: USB_Disk, PC_Camera, REC_Mode, select options by page up/down button. To entre U Flash Mode, select USB_Disk and confirm with emergence button. To enter playback mode, press camera button under power on for 3 seconds. Select videos and images by page up/down button, shortly press camera button for playing video. To exit playback mode, press camera button for 3 seconds.